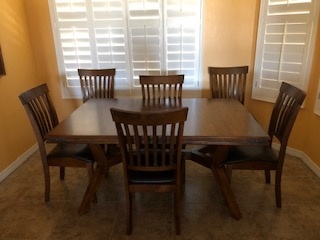 Standard height dining room table and 6 leather covered chairs. Built in leaf for 40�x60� or 40x78 extended. Bought new in 2012 for $1,300. Asking $500. Contact Jerry at 208-863-3126.